Today I'm honored to have written a tutorial post for the Swhetty Betties blog. 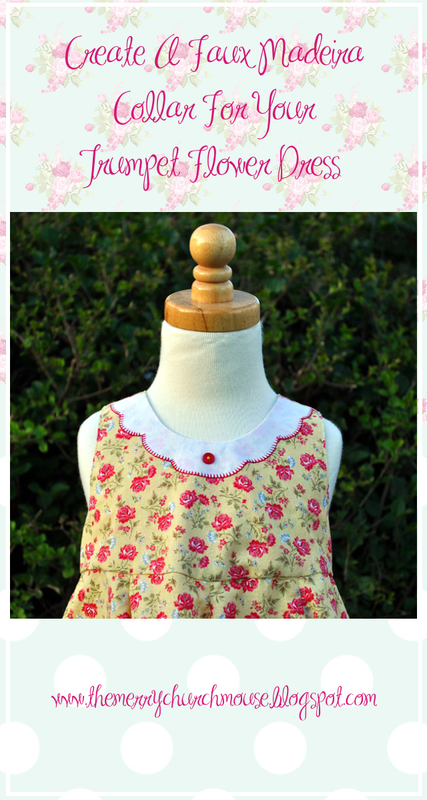 I hope that you will come and join us as I show you how to create a faux madeira appliqué collar for your Trumpet Flower dress. This is a great technique that really can be applied to a multitude of different patterns with just a little ingenuity. It was a fun and simple project and I am totally in love with the results.